Tyndale Intercultural Ministries (TIM) Centre is Missions Central – your one-stop for missions around the cornor and around the world. TIM Centre offers the advantage of linking with a vast network of local churches, denominations and mission organizations, partnering with church and para-church organizations to carry out its mandate. TIM Centre also offers exposure to international mission leaders who offer academic and pratical teaching related to missions. 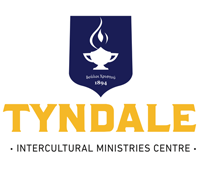 TIM Centre is strategically located at Tyndale University College and Seminary, one of Canada’s largest Christian post-secondary institutions in what has been described as the world’s most multi-cultural city.